Does it really all fit in there? It’s kinda like clowns and Volkswagens, all that really came out of there? For normal training session I don’t carry all this stuff but as I’m gearing up for a trip it’s nice to do a shorter trip fully loaded to make for sure you got it all. There is no zipping back to house because you forgot something when your miles away. 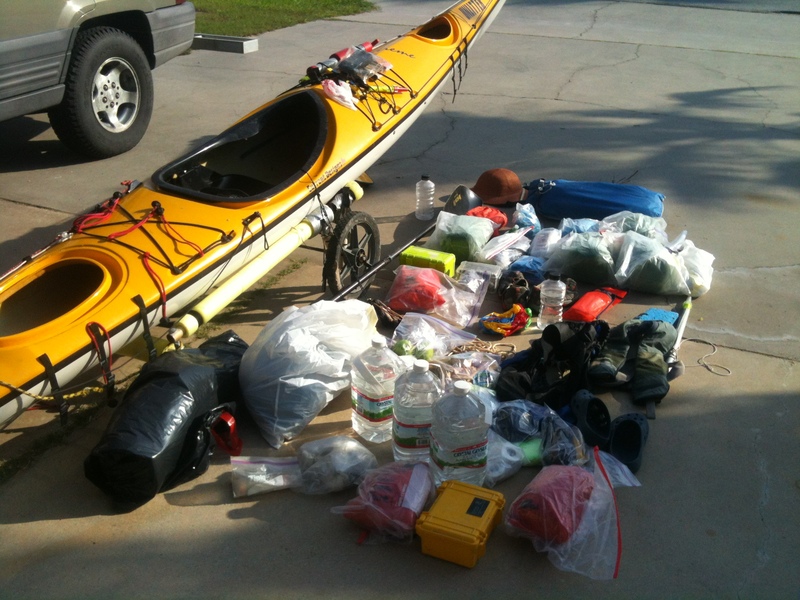 Here’s a couple of videos of me unloading my kayak. 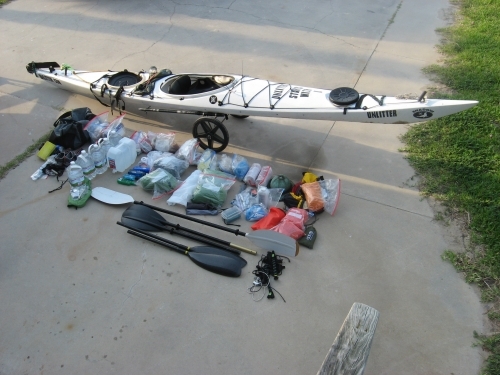 This is what I brought along when I paddled the entire length of the Texas Coast back in May of 2010. I’d add food and water along the way. Food is the easier of the two to carry, water on the other hand is tougher to deal with. At 8.3 lbs per gallon I’d resupply with a total of 8 gallons on board for remote stretches and that really starts to weigh in. 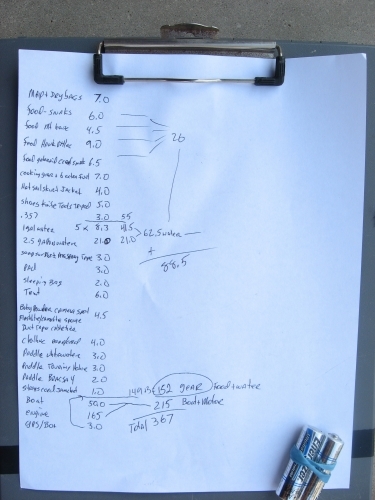 At one point I was down to one gallon and consider that my emergency rations. I weighed everything before I left in May of 2010 just to know.